Help us send the stirring words of Pope Francis to prisoners across the United States! This is a very special program for prisoners… a way to encourage them along their difficult path of reform, as they struggle with isolation, fear, uncertainty, and their questions about God. Pope Francis has written powerful words to prisoners. As you know, he wants all the church to “go out to the margins”—and few people are as marginalized as prisoners, especially in the particularly harsh and hopeless system we have developed in the United States (often for the profit of corporations and individuals). This book will help prisoners leave prison with visions and hopes that spring from our Catholic faith. Consider sponsoring a book so we can send it to a prisoner. If you are able, consider sponsoring 10 books we can send to chaplains for them to distribute. I can imagine prisoners smiling broadly as they receive a special and unexpected gift. Thank you for your loving kindness to some of America’s most forgotten people. 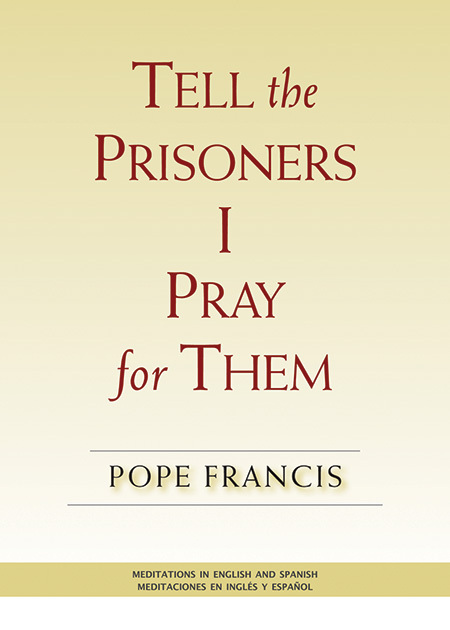 Thanks to the editorial efforts of Paulist Press, we have a wonderful, bi-lingual collection of prayers and meditations from Pope Francis to prisoners. This gives us a special opportunity to distribute this beautiful book to prisoners. Your donation* will send a book to a prisoner and help support the ongoing mission of Paulist Prison Ministry. __ For $12.95 you can send individual copies of this book directly to a prisoner through Paulist Prison Ministry. __ For $125.00 you can help us send 10 copies to a chaplain for them to distribute to their prisoners. Prisoners’ lives will be enriched, and they will be praying for you, even as you pray for them.